Dating back to its first customer in 1912, Liberty Mutual made a commitment to provide customers with a broad selection of insurance products and services at affordable prices to meet their unique and evolving needs. Who is Liberty Mutual Life Insurance? 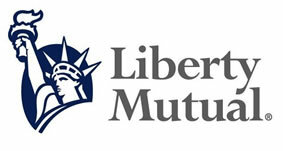 Liberty Mutual was originally founded in 1912 as the Massachusetts Employees Insurance Association (MEIA) after the state of Massachusetts passed law requiring employers to have workers’ compensation insurance for the protection of employees. MEIA structured itself as a mutual company, meaning it was owned by policy holders rather than stockholders and became dedicated to serve the insurance needs of these businesses. In 1917 the company changed its name to the Liberty Mutual Insurance Company and began selling public liability insurance, along with its newly-added auto insurance products. In 1936, Liberty Mutual relocated to its new headquarters in Boston. By 1937, the company had operations in all 48 states and within four years had expanded to offer more of its services overseas than any other casualty insurance company. In 1964, the company established its life insurance branch, offering group and individual life insurance products. In 2010, Liberty Mutual Group ranked 71st on America’s Fortune 500 list of the nation’s largest companies. It also ranked 31st in the “2009 Best Places to Launch a Career” list published by Business Week magazine. The company has made great strides over the years and continues to offer high-quality products and customer service for the benefit of its members. Liberty Mutual is rated by A.M. Best and Standard & Poor’s rating agencies, with an A (Excellent) rating from A.M. Best and an A- (Strong) rating from Standard & Poor’s. Over 77 percent of the company’s bond portfolio has ratings of “highest quality” or above. Liberty Mutual invests in philanthropic efforts to support local communities. Through funding provided for nonprofits, the company helps educate children from low-income families, as well as strengthening the community treasures brought by different cultures and protecting those citizens in the community who are fragile, left behind or left out. Liberty Mutual maintains four separate foundations, set up to provide grants to nonprofit organizations and provide support to meet operating, capital, program and multiyear financial goals. Priority is given to nonprofit organizations that have a strong staff and board of directors, carefully and thoughtfully assembled budgets and strategic plans, as well as solid financial statements. Liberty Mutual makes buying life insurance easy for consumers. The company offers free quotes on its website, along with a list of frequently asked questions about life insurance, including a primer on purchasing life insurance, as well as questions on annuities. The company also offers educational information on the basics of life insurance. Additionally, many current insurance customers enjoy online claims servicing for their insurance policies. Liberty Mutual has also been recognized by JD Power & Associates two years in a row for its customer service excellence provided by the Liberty Mutual direct call centers. One of Liberty Mutual’s current television commercials shows people “doing the right thing” by helping other people. Through the commercial, every time someone sees a stranger being helped, they do the right thing by lending a helping hand the next time they see someone else in need. The company has several other commercials for its auto insurance policy features, such as “better car replacement” which provides policyholders with reimbursement for a totaled vehicle. The reimbursement is based on the market value for a vehicle model that is one year newer than the “totaled” car, and with 15,000 miles less than the insurance current vehicle. An important part of purchasing life insurance is determining a person or family’s needs. This may include the expenses that come up in day to day living, as well as periodic costs including college and weddings. The family’s current budget is a perfect place to start when estimating the amount of income that would need to be provided by a life insurance policy. Other one-time expenses to include in the cost projection might be enough coverage to pay off a mortgage. In fact, some life insurance policies can decrease coverage over time as the mortgage is paid down. Once the kids leave home, future living costs will be reduced. Adding up all of these essential obligations taking place in the future allows for a plan that involves getting the best life insurance policy with coverage that will match up with all of the projected financial needs. Once the projected financial needs are established, consumers may want to educate themselves on the differences between term insurance, whole life and variable life insurance policies to see which makes the most sense for their future needs. Life insurance is best purchased when an individual is young and healthy, in order to secure the least expensive premiums. Many life insurance company websites provide knowledge centers to help consumers learn about life insurance types, and some also include calculators to help calculate a family’s need. Additionally, some insurers offer free quotes online for life insurance for those who prefer not to deal with an agent. Need Life Insurance? Compare Life Insurance Quotes and find Affordable Life Insurance Rates today!